As usual, Liebowitz attacks the question compassionately but vigorously, and his citations are footnoted. It is not often one has the chance to view such questions from inside the horse’s mouth. Fair readers, Connecticut Commentary reckons, will conclude that his analysis is fair-minded and enlightening. The Wethersfield Police Department evidently thought so when it printed Leibowitz’s hand-written letter – typewriters are not one of the amenities provided by Connecticut’s prison system to its prisoners – on the Department’s Facebook page. By Michael Liebowitz # 252419, a Connecticut prisoner for the past 21 years, currently housed at MacDougall-Walker Correctional Institution in Suffield, Connecticut. I’m writing in response to the recent op-ed entitled “Wethersfield Police Chief Paints Inaccurate Picture of Youth” by one of your correspondents. There are many good things in this piece. Incarcerating kids should only be done as a last resort. Juvenile delinquents should be shown compassion: they are, after all, kids. Our communities do deserve to feel and be safe, and education and opportunities are positive things. There are, however, at least four faulty premises inherent in the analysis. To these I now turn. 1) The first faulty premise is that punishment doesn’t deter crime. Your correspondent writes, “Multiple studies have shown that [incarcerating juveniles] is damaging and, importantly, doesn’t make our communities safer.” Sources are not cited, and so I don’t know what studies are referred to. However, I do know that the debate over this issue has a long history, and the results are far from clear. For the sake of clarification, it is important to distinguish general from specific deterrence. General deterrence is the preventative effect that punishment has on the overall population. In other words, when people know there is a chance they will suffer negative consequences for a given behavior, many of them won’t engage in that behavior. Specific deterrence, on the other hand, is the effect that punishment is supposed to have on the future behavior of the person who may be punished. For instance, if a woman goes to jail for shoplifting, it is presumed likely to deter her from stealing in the future. It is impossible to know the effect of general deterrence with any degree of certainty. Available statistics can tell us how many crimes were committed, but not how many people were deterred from committing them. However common sense tells us that there must be at least some people who don’t break the law out of fear of the consequences. As Lawrence M. Friedman writes, “Deterrence is a fact, not a mere theory; there is no reason to doubt that deterrence works." 2) The second faulty premise inherent in the position of your correspondent is that punishment and treatment are mutually exclusive. The writer advocates treatment in place of incarceration. But, ideally, punishment and treatment should work together. After all, it is the experience of, and fear of, negative consequences that will impel these kids to take on the difficult task of reforming themselves. But if they knew there were no negative consequences, why would they bother? They must learn that the cost of living an anti-social lifestyle far outweighs any benefits such a lifestyle provides them. Let me be clear, I am not suggesting that every 13-year-old who gets caught stealing a soda should be locked up. Nor do I believe that this is what Chief Cetran is recommending. We need to keep in mind that the juveniles who sparked his comments were guilty of car theft, robbery, and assault. These are pretty serious offenses by any measure. I am also not saying that the only way to get juvenile offenders to change is to incarcerate them. What I am saying is that to get some offenders to sincerely participate in the kind of evidence-based programs your correspondent talks about, there must be at least a credible threat of incarceration. If there is no such threat, many of these kids will believe they have a license to commit crimes. The problem is that no one has ever discovered the “root causes” of crime, nor is anyone likely to. In fact, the writer does not specifically identify what he root causes may be. I believe poverty is indicated, because that is what has been traditionally meant by a “root cause,” and also because of the “solutions” presented. People have suggested addressing such root causes of crime such as poverty for over a century. 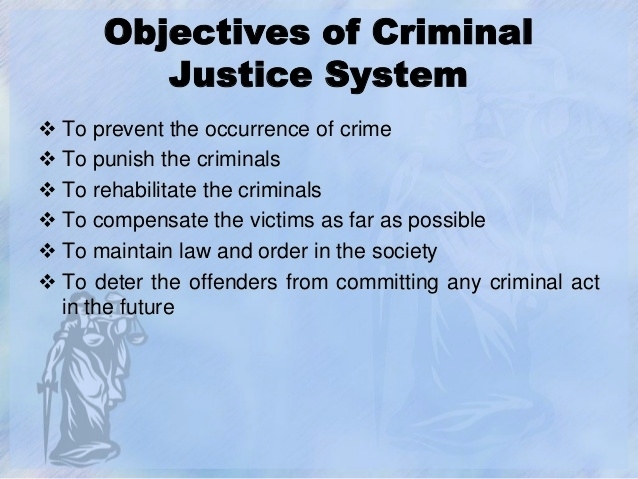 However, “… almost every type of measure currently advocated [as of 1977] to improve social conditions for the purpose of eliminating and preventing crime is decades old. The same kinds of programs have been recommended and implemented again and again.” Yet crime is still a problem more than forty years after that was written. The fact is the majority of poor people don’t commit crimes. Furthermore, many criminals, I among them, aren’t poor. Also, studies using self-report data have found the relationship between income inequality and social class to be nearly nonexistent. Other studies have shown that while there is a correlation between income inequality and murder, there isn’t one between income inequality and property crime. The bulk of studies have also shown no relationship between crime and unemployment. But perhaps the strongest evidence against the hypothesis that poverty causes crime is the fact that between 1963 and 1993 billions of tax dollars went towards reducing poverty, and while the poverty rate fell by approximately 23 percent during this time, the crime rate rose by approximately 350 percent. None of the above should be construed as meaning that we shouldn’t be advocating for kids to have warm clothes, better schools and more opportunities; only that achieving these goals is unlikely to have the remediating effects on juvenile offending that is suggested by the correspondent’s remarks. 4) The fourth and final faulty premise is that juvenile delinquents hold the same values as youths who aren’t delinquents. This is implied by the correspondent’s belief that delinquents would want to participate in the programs and better schools that are recommended. But delinquents simply aren’t interested in these things. They’d much rather be committing crimes and raising hell. And, mind you, I’m not some ivory tower academic. I was a juvenile delinquent and have known many others. School was available, but I didn’t want to go, and neither did many of my friends. Many people tried to help me, but I didn’t want their help. As hard as it may be to understand, crime was rewarding for me, as it is for other delinquents. This is why the threat of punishment is essential. Again the cost of committing crimes must outweigh the perceived benefits. The fact that those who continually commit crimes think and value differently than those who don’t has been painstakingly demonstrated by doctors Yochelson and Samenow, as well as by Glenn Walters. Also, criminologist Wright and Decker refer to the “psychic rewards” burglars get from committing burglaries. In fact, these psychic rewards are so great that Wright and Decker doubt that job programs could be of much appeal to burglars. The burglars simply value committing burglaries too much to give them up. Finally, in addition to the four faulty premises mentioned above, the writer is short on specifics concerning the “programs proven to work” that are recommended. To be sure, there are such programs; the writer just doesn’t tell us much about them. As I believe it is incumbent on those who criticize to offer solutions as well, allow me to share what I’ve learned about effective programs. 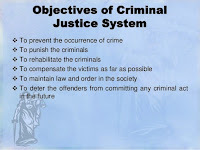 These programs are directed towards juvenile offenders; they take place in the community; they employ cognitive-behavioral techniques; they address the anti-social attitudes, values and beliefs of offenders; and they are intensive, taking from three to nine months and “occupying 40 to 70 percent of the offender’s time. Effective programs have been shown to reduce recidivism by up to 30 percent. To appreciate the significance of this, consider that “the average high-risk youth will cost society an estimated $1.7 to $2.3 million. Depending on when intervention takes place (how early) and what the absence of such early intervention programs costs, a treatment program can “pay for itself.” With such prospects, shouldn’t we, as a society, seek to implement such programs? Multi-systemic therapy, a program created by Scott Henggeler and associates, satisfies the bulk of the criteria noted above. Space constraints preclude me from giving a detailed account of this program, but among its features are that it is empirically based and rooted in social psychology. It is geared towards juveniles. Among the techniques it employs is cognitive-behavioral therapy. It involves offenders and their families in three to five months of intensive programming, during which the anti-social characteristics of the offender are addressed and parents and/or other caregivers are provided training in how to deal with the offender. The goal of the program is to avoid incarcerating kids. Finally, the program has achieved significant success in reducing recidivism. In closing, I would like to thank the thoughtful correspondent and Chief Cetran for their interest in this issue. I believe both are sincere in their concern for the state’s communities and kids. I also think they could probably find a lot of common ground between them. As such, it would be great to see the two of them, as well as those of us who share their concerns, work together to achieve a safer society. Thank you.